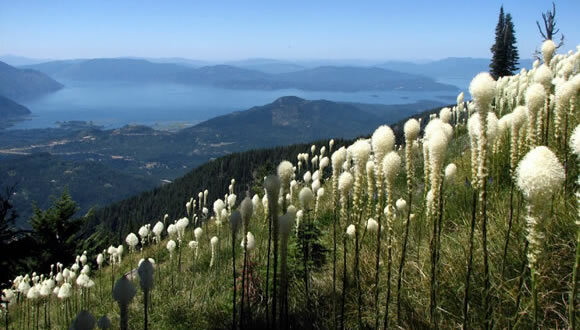 The Friends of Scotchman Peaks Wilderness, Inc. (FSPW) was formed in January 2005 by residents of north Idaho and northwest Montana who believe the Scotchman Peaks roadless area deserves permanent protection as wilderness. In the 5 northern counties of the Idaho Panhandle there are no acres of designated wilderness. Additionally, the Kootenai National Forest has the smallest percentage of Wilderness (less than 4%) of any national forest in Montana. Wilderness designation for the Scotchman Peaks area would offer the highest level of protection for key habitat, in the heart of the Yellowstone to Yukon corridor, vital to the conservation of a number of threatened, endangered, and sensitive species including: Grizzly Bear, Bull Trout, West slope Cutthroat Trout, Canada Lynx, Wolverine, Mountain Goat and Grey Wolves. This botanically rich landscape includes mid level Cedar Hemlock forests and some of the southernmost occurrences of Interior Rain forest, neither of which are well protected in the National Wilderness Preservation System. Our primary goal is conservation of this landscape through Wilderness designation. Our local communities will benefit from the unparalleled recreational and economic opportunities which wilderness provides. Studies have indicated that there is a strong link between protected public lands and diverse, vibrant economies. As we shift from extraction based industries to a more diverse and vibrant economy based, in part, on the natural beauty and outdoors “quality of life,” our communities benefit from preserving and protecting our natural resources. We are a grassroots, non-profit, 501(c)(3) with limited staff, supported by a passionate and dedicated board who are at the center of a large cadre of volunteers. Our single focus is protecting the Scotchman Peaks Roadless area through Wilderness designation and good stewardship practices which will preserve these unique assets for current and future generations. Through education and outreach we are building community awareness and support, making wilderness designation politically inevitable for the Scotchmans. Our most effective outreach strategies include a coordinated media presence, publication and distribution of our free newsletters and hiking maps, our year-round guided hikes and trail maintenance series, a dynamic website and social media presence, educational events and presentations done by ourselves and resource specialists. We ask for “supporters” rather than members. Instead of asking people to join us against something negative, we ask people to support us for something positive. This has brought together people reluctant to “join” groups, or who do not ordinarily support environmental causes. The result is positive community dialogue around wilderness values and conservation issues. This has allowed us to grow quickly in size and diversity. The result is a large network through which we can distribute our educational material and alerts and sizable attendance for hikes and other events. This page is available as a downloadable PDF file.